The three men charged to court over the April 5, 2018, bank robbery in Offa, Kwara state, told a high court in Ilorin, Kwara capital, that the confessional statements admitting to the crime, were obtained under duress. 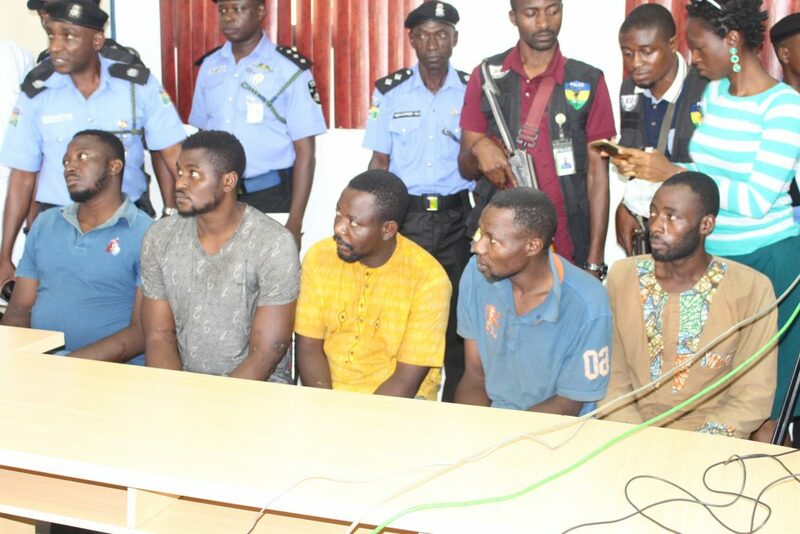 The police charged Ayoade Akinnibosun, Ibikunle Ogunleye and Adeola Abraham with criminal conspiracy to rob the banks, murder of nine policemen and other citizens, and illegal possession of firearms. Testifying while being led in evidence in the trial-within-trial by Mathias Emeribe, their counsel, Akinnibosun said he was tortured and threatened to make confessional statements. Akinnibosun alleged that Abba Kyari, deputy commissioner of police, also asked him and the other accused persons to implicate Senate President Bukola Saraki. “Abba Kyari told me to say that the Senate President Bukola Saraki gave me the guns for the operations. But I declined to do contending that my life is at stake,” he said. Akinnibosun added that he was the leader of Kwara South Liberation Movement, mobilising young jobless graduates for Rafiu Ibrahim, senator representing Kwara south district. ”The essence is to secure government jobs for the boys,” he said. Akinnibosun, Ogunleye and Ibrahim gave graphic details of their experience in police custody in Abuja. They alleged that one Vincent , an inspector, allegedly shot dead five men at the police IRT “theatre room” during one of their encounters. The trio alleged that it was in the same “theatre room” that Vincent otherwise known as “Mr Torture”, shot dead Michael Adikwu, also a suspect, for failing to indict them in the robbery incident. After listening to the accused persons’ testimony, Halimat Salman, the presiding judge, adjourned the case till March 25, for continuation of trial. Hitila Hassan, prosecution witness, told the court that the suspects voluntarily gave their statements under his supervision. Lead prosecuting counsel, sought to tender the statements as exhibit but defence counsel objected.